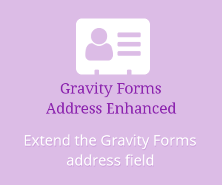 Gravity Forms plus its PayPal add-on make for a very easy donations form (and so does my Gravity Forms eWAY add-on). But the PayPal item description is pretty formulaic, and probably doesn’t represent the donation very well especially when there are multiple options. A simple filter hook with a few lines of code can easily fix that though. The PayPal add-on has a filter hook, gform_paypal_query, that allows you to modify the payment part of the query string sent to PayPal. It has another filter hook, gform_paypal_request, for modifying the whole query string, but we only need to be concerned with the payment bits. So how do you build the new item_name? The simplest way is to grab the values of fields in your form and add them into a formatted string. Here’s one I prepared earlier today. NB: you need to know the field IDs for the fields in your form, which you can get from the form editor. And job is not only done, but we now know which job and for whom!